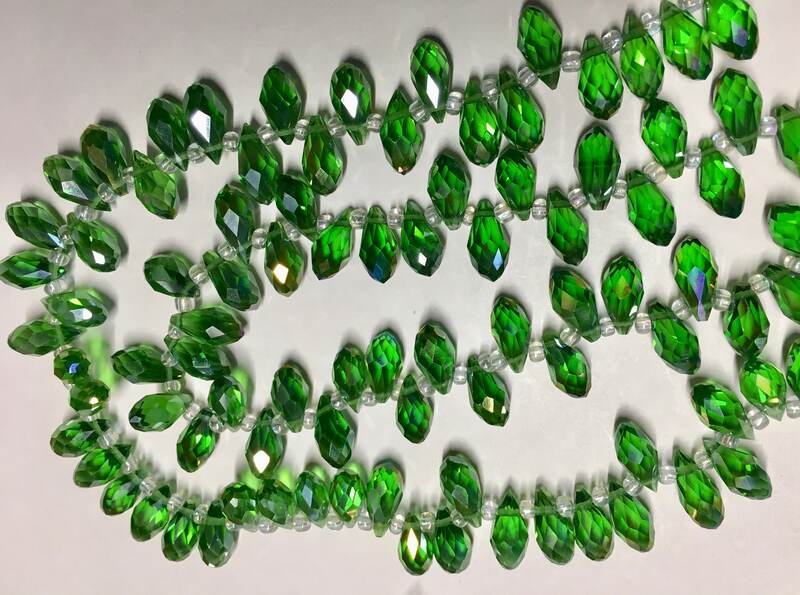 Beautiful grass green glass crystal briolette drops. 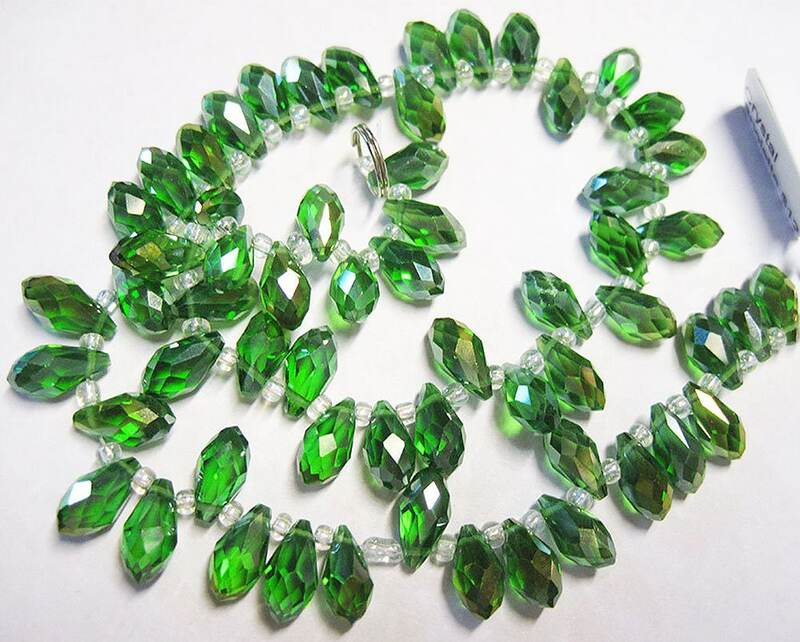 Sparkling facets make these incredibly sparkly! These measure 6x12mm. Approx. 10 beads.